At Kent School of English, we specialise in delivering short English language courses to learners of many nationalities, all backgrounds and ranging in age from twelve to eighty! We are open for 50 weeks of the year and almost always have a mix of nationalities in the school. We are based in beautiful Broadstairs, a picturesque English seaside town near the port of Dover and within easy reach of London airports. Join us and become a more confident communicator in English! Short English courses for professional people, students and people who want to improve their English for social purposes. For learners aged 21 years and over. Action-packed short courses for teenagers. 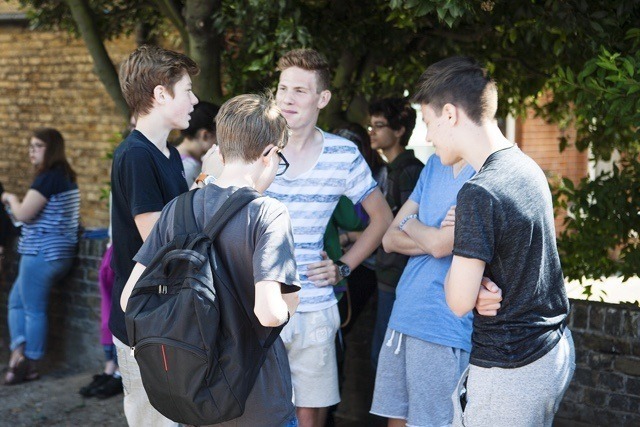 Lively, involving classes, a full activity programme and a vibrant international atmosphere. For learners aged 12-20 years. Practical and stimulating courses for practising or trainee teachers. How do we make our classes more involving or stimulate real communication in the classroom? Where do we find authentic materials for our lessons? These are just some of the questions our trainers will explore with you. Suitable for English language teachers or teachers of other subjects who use English in the classroom. Courses available in Broadstairs all year round and in Penzance during the summer.